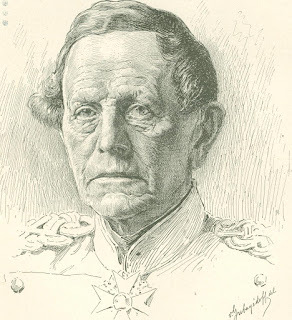 The popular idea of Marshal von Moltke, now in his ninety-first year, is not badly conveyed in an anecdote which was current in Germany after the Austrian war of 1866, that a young subaltern, hav­ing by mistake been seated in a carriage with his illustrious chief, ventured on en­tering and leaving, in the greatest fright to murmur, "Verzelhen, sie Excellenz" (pardon, your Excellency), the famous captain's comment on which was a sub­dued growl of "Unertraglicher schwat­zer" (insufferable talker). The highly accomplished count long ago learned the proverb of the ancient Hebrew - one word is worth a shekel, silence is worth two. He is frequently called in his own country the "Great Silent One," and it is most certainly true that while the old soldier is ordinarily taciturn and uncommunicative, he at the same time exhibits in society consummate courtesy and rare modesty for a person to whom it is perhaps no ex­travagance to apply the title of the Ad­mirable Crichton of the nineteenth cen­tury. What Motley wrote concerning William of Orange is equally true of Von Moltke. "In many respects," says the historian of the Dutch republic, "it must be confessed that his surname of The Si­lent, like many similar appellations, was a misnomer. William of Orange was neither silent 'nor taciturn,' yet these are the epithets which will be forever asso­ciated with the name of a man who in private was the most affable, cheerful, and delightful of companions." "My Von Moltke is silent in seven lan­guages," said the stout old Emperor William, and he did not exaggerate the linguistic accomplishments of the field marshal, who can address a gathering of representatives of most of the great na­tions of Europe, including England, in their own tongues. Despite his taciturn­ity which is proverbial in Berlin and throughout Germany, and which, like Grant's of war times, has been greatly magnified, the count occasionally shows himself to be both a copious and charm­ing conversationalist, but such occasions are rare, as he ordinarily keeps both words and emotions carefully concealed within himself. One of these exceptions oc­curred a few years ago when the marshal visited Sweden and dined with the uncere­monious king at his country palace near Stockholm. A person who was present said to the writer : "I was greatly sur­prised that the old soldier should indulge in such a variety of wines, having always heard that he was exceedingly abstemious, and I was still more surprised at his steady flow of conversation. I have never list­ened to a more delightful talker and some of his stories were charming." Helmuth Karl Bernhard von Moltke, who has just claims on immortality, was as unknown at sixty-four to the world in general as was the first commander of the Army of the Potomac when, in 1861, he reentered the United States service. Like Lord Clyde, the illustrious German strate­gist had long to wait for a field on which to display his generalship, but like the pa­tient Scotchman, secure in the possession of consummate military genius, he quiet­ly bided his time. It came in 1864 when he defeated Denmark, in 1866 when the star of Austria sank on the lost field of Sa­dowa , in 1870 when the same masterly com­binations crushed Napoleon III and fair France, even as Prussia had been crushed by the little Corsican at Auerstadt and Jena in the sixth year of the present century. Had the silent and thoughtful Moltke died at as early an age as have the majority of illustrious soldiers of mod­ern times or had he, like Sherman, been retired from service at sixty-five, his name would never have filled the trumpet of fame. Happily for himself and his country, he was spared to plod on with German patience, laboriously perfecting himself in all the minute details of his pro­fession, believing, as his favorite American poet remarks that "the talent of success is nothing more than doing what you can do well, without a thought of fame." Toil alone could not have provided Prussia with the greatest strategist of our time, but tire­less toil, combined with talent of the high­est order, produced that generalship which in due course electrified the whole world with its overwhelming successes. Was there ever, by the way, on earth before a commander-in-chief winning such victo­ries who had never signed a proclamation? 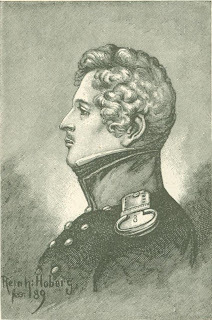 Von Moltke was born at Parchim, in the Grand Duchy of Mecklenburg Schwerin, October 26, 1800, but a few weeks later than his friend George Bancroft. His birthplace is still to be seen in the small walled town of some 6000 or 7000 in­habitants, and is pleasantly situated on the banks of the Elbe. He is descended, like Marshal Blucher, from a distinguished Danish family, and his father, a former officer of the Mallendorf regiment, pos­sessed the estate of Grenitz. In his twelfth year Helmuth was sent to Copenhagen to be educated for the army. In 1814 he be­came a "land cadet" and commenced ser­vice with the small annual pay of fifty Danish reichsthalers. Shortly afterward, however, he was admitted in the privi­leged ranks of the so-called “page cadets," when his pay was advanced to the sum of 300 thalers of the Danish mint from the court treasury, and the more valuable privilege of receiving a higher scien­tific education. Five years later he was appointed to a lieutenancy in the Olden­burg regiment, and in 1822 he obtained permission with several companies to en­gage for a time in foreign service. We may now smile at the minister of war who, when Moltke left the army, reported to the king, "The departure of Captain Moltke will not be a great loss to the Dan­ish army!” He was very poor, and when the permission was granted he begged, at the same time to be allowed three months' pay as "travel money," but Frederick VI thought that he had done enough for the young officer and replied that no funds could be advanced to those seeking foreign service. 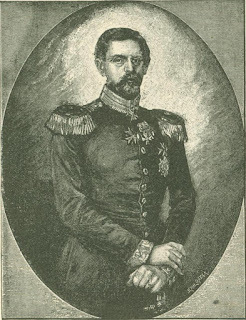 Moltke in his written application to the king, which is to be seen at Copen­hagen, made the now memorable pledge: "If his majesty will concede my request I trust that I shall acquire such knowledge and capacity in the Prussian service as shall enable me to repay the king and Denmark." Another strange instance of the irony of history. Had the young captain's request been granted for the paltry sum of $200, it is probable that he never would have become field marshal of Prussia and chief of the general staff of the army. It is a very curious and not uninteresting speculation as to what issue might have resulted from the Schleswig-Holstein conflict when Denmark was de­feated, if Moltke had been on the other side; and had the greatest strategist of the age remained in the service of that little state in which he began his career as a soldier and in which he also proposed to end it, would there have been a Sadowa in 1866 and Sedan in 1870, and might not Napoleons still have been emperors of France? 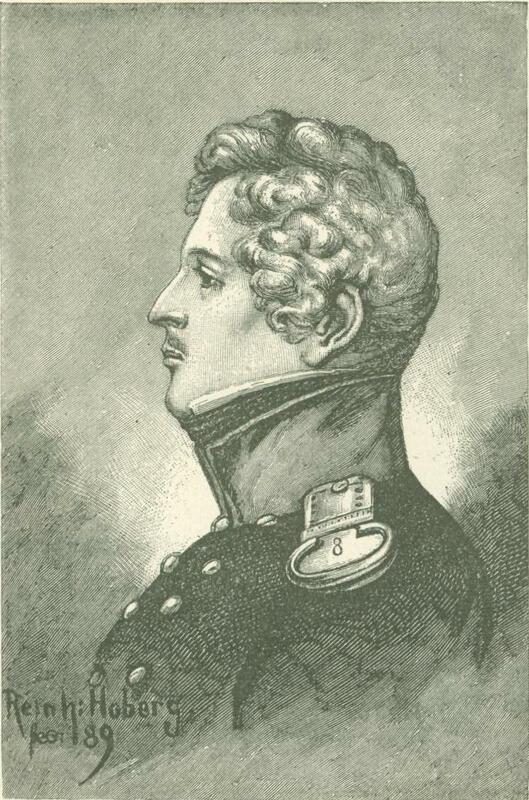 Entering the Prussian army in the au­tumn of 1822 as second lieutenant in the Eighth infantry, Moltke at the same time studied in the military academy. Thrown entirely on his own slender resources, the young officer early exhibited that spirit of self-reliance which prepared him for the future struggles and energetic career through which he was destined to pass. Spending some time in the School of Di­vision at Frankfort-on-the-Oder, he was, after ten years of arduous studies and labors, made a member of the general staff and in 1833 was advanced to the grade of first lieutenant. Two years later he went to Constantinople, and Mahmud II, conceiving a high regard for his abil­ity, the Prussian mili­tary authorities permitted Moltke, then a captain, to serve the sultan in improv­ing the fortifications of Turkish cities and in the war against the Kurds and against Egypt. In Egypt General d' Hautpoul, who died in France in June 1890, was pitted against Moltke and beat him. The latter was the virtual commander of the Turkish army at Nesib, as was General d'Hautpoul, then a captain of the Egyptian army, of which Ibrahim Pasha was the nominal chief. The Turks were routed owing to the skill of Captain d'Haut­poul in occupying as he did the position dominating the road to Aleppo. The inter­vention of Europe alone saved Constantinople from being entered by the Egyp­tian army after the defeat of the Turks at Nesib. General d' Hautpoul was sent to Versailles in 1871 to negotiate an armistice and met there his old foe Von Moltke, but refused to sign until informed about General Bourbaki's army. General Valden then took his place and signed, and Bourbaki, to avoid being captured, was compelled to retreat into Switzerland. After being decorated by Mahmud for distinguished services ren­dered at the battle of Hisili, Captain Moltke was recalled and assigned to the general staff of the Fourth army corps. In 1842 he was advanced to the rank of major, and three years later he published an interesting narrative of his sojourn in Turkey. During the same year, 1845, he was appointed adjutant to Prince Henry of Prussia. After the prince's death, in 1847, Major Moltke was engaged on the Rhine, and in the year following was assigned to the grand general staff. In 1849 he was pro­moted to be chief of staff of the Fourth army corps at Magdeburg, and six years later he became adjutant to the crown prince and accompanied him to England. Advanced to the rank of chief of staff of the Prussian army in 1858, he was in the year following created a lieutenant general. Present in the Austrian headquarters at the time of the Austro-Italian war, upon the termination of hostilities he entered energetically upon the development, to the fullest extent, of the capacities of the Prussian general staff and the Prussian army. The war against Denmark having been declared, Moltke planned the cam­paign and gave to its execution his per­sonal assistance, contributing the same skill and experience in the more important war of 1866. The brilliant plan of the Bohemian campaign was also his. Lead­ing at the battle of Koniggratz or Sadowa, he also planned the advance of the Prus­sian columns against Olmutz and Vienna, and the armistice and preliminaries of peace which soon followed his great vic­tory at Sadowa were negotiated by him. For these eminent services General von Moltke was rewarded by King William, who accompanied him in the Austrian campaign, with the order of the Black Eagle, a national dotation and the colo­nelcy of the Colberg or Second Pomera­nian regiment. It is certainly most remarkable that so recently as within a quarter of a cen­tury the popular records of contempora­neous public men in America and Great Britain contained no mention of the name of the illustrious soldier, although the Men of the Time, in the edition of 1868, includes the name of his cousin, Comte de Moltke, a Danish statesman born in 1785, who held the post of minister of finance under Christian VIII , and who exercised vast influence under that mon­arch. But while the successful strategist was unknown to the world at large, an glittering names were dazzling for the hour, he was perfecting, with all the con­scientious zeal of a hard and practical student, those plans of war and strategy which his prescience told, him were to place Prussia in the front rank of military powers and restore the German empire. Having long foreseen the probable con­tingency of a war with France, he was prepared with his plans when it began in 1870, and Prussia was destined under his leadership, after an interval of six decades and under more than ordinary circum­stances, to invade France, and over the very battle grounds on. which so many of the signal defeats of their fathers had been encountered, to achieve victories only par­alleled by those gained on them by the first Napoleon. Such are the retributions of history as well as its analogies! There is what appears to be a well-au­thenticated anecdote that the very day be­fore Moltke's departure for the seat of war a diplomat met him in the Wilhelmstrasse of Berlin and addressed him apologetically, fearing to intrude upon his busy thoughts and preparations, but, “Oh," said the old soldier, “I have nothing to do!" And an American general who called upon him at Versailles during the siege of Paris and on the very day that a strong sortie was ex­pected, found him calmly reading a new English novel! "All furnished, all in arms, All plumed like ostriches that with the wind Dated, like eagles having lately bathed: Glittering in golden coats, like images; As full of spirit as the month of May, As gorgeous as the sun at midsummer." Encountering Marshal MacMahon at Worth, August 6, they obtained a signal victory. The effect of this reverse on the French was of the most disheart­ening character. Napoleons efforts at consolation in his brief dispatch to the empress that the marshal had “lost a battle,'" abut urging forti­tude and sacrifices under difficulties, will be most vividly brought to mind when we remember that four years later MacMahon held the reins of a republican government in France, that the empire was dead with the unfortunate emperor, who now sleeps on English soil, his only soil by his side! Rapidly following the disaster at Worth came the defeat of Bazaine in the san­guinary battle of Gravelotte, fought near Metz August 14 and 18. Shutting himself and his army in Metz, Marshal Bazaine was besieged by Prince Frederick Charles, while MacMahon with his retreating columns was hotly pursued by Moltke and the crown prince toward Chalons. After collecting a large army there MacMahon marched northward toward the valley of the Meuse. When Wellington at Salamanca saw Marmont’s circuitous move he is said to have exclaimed, “Now I have him!" 'Whatever the silent Moltke said or whether he made any remark on the subject when informed of MacMahon's march, he must have felt that he was certain of his game, for he had not waited till then to guard the northern passage. "A general," says the Archduke Charles, "must suppose that his opponent will do against him whatever he ought to do." MacMahon's movement was one of the possibilities that Moltke provided against. Then came for the French the final catas­trophe of the war. The German army, amounting to nearly a quarter of a million of men, attacked MacMahon near Sedan, and after a serious battle lasting several days made Napoleon a prisoner, with his 100,000 soldiers! This occurred on the 2d of September. Marching on Paris a few days later the Germans began the investment of the city. The crowning point of these disasters, almost unprecedented in military history, was the surrender of Metz by Ba­zaine with an army of 170,000 men, includ­ing three French marshals and the impe­rial guard, some 16,000 strong - which, according to Cambronne, "dies, but never surrenders!" - without doubt the act of a coward or a traitor. The spectacle of such a vast body of well-seasoned soldiers, the flower of the French army, held captive for three months by a force only one-fourth greater, and then surrendering without striking a single blow for freedom is cer­tainly new in the annals of modern war­fare. At the close of 1873 Marshal Bazaine was justly condemned by a French mili­tary tribunal to be reduced to the ranks and shot. His sentence was commuted by his friend and former companion in arms, President MacMahon, to twenty years' imprisonment on the island of Ste. Mar­guerite. Honor is elevated to the presi­dency of France, while dishonor in dis­grace is sentenced to degradation and death! As will be remembered, Bazaine, after a brief captivity, affected his escape and settled in Spain, where the writer saw him in 1882, and where he has since died. In March 1883 we visited his island prison and that of the Man in the Iron Mask, and feel perfectly satisfied that the ex-marshal was permitted to reach the boat in which his faithful Mexican wife waited for him. The French were outnumbered and out­generaled by the Germans in all the great battles of the war, and to the genius of Von. 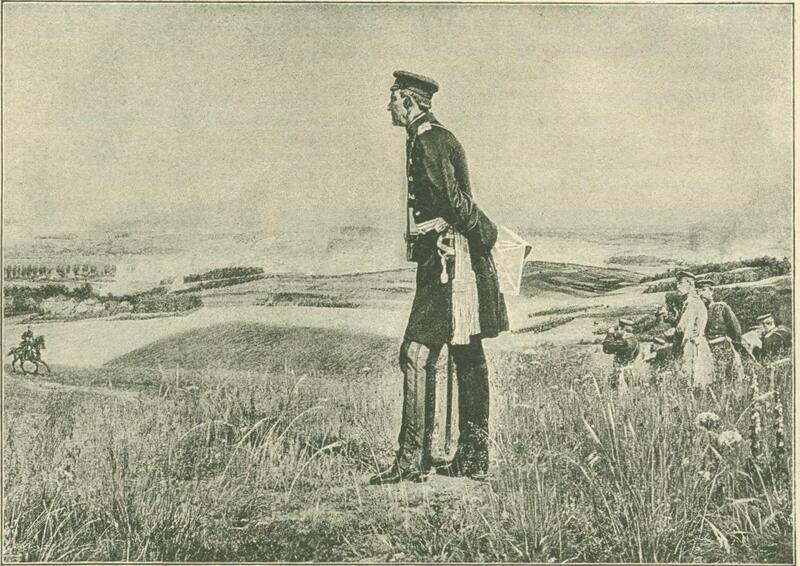 Moltke in directing the movements of the armies is to be principally ascribed their surprising victories. The siege of Paris was maintained with constancy and cour­age. Commanded by General Paladines, the Army of the Loire defeated the Bava­rian Von der Tann near Orleans, but fail­ing to move promptly on Paris as he should have done after his victory, he threw away the only opportunity that the French ever possessed of effectually raising the siege. Subsequently Paladines was defeated in several engagements. A vigorous sortie from Paris was made November 29, contin­uing during the day following; but the ac­cession to the besieging force by the addition of a portion of the army of the "Red Prince" made further resistance almost hopeless. As food became scarce the cry of resistance a l'outrance ceased and the famous siege ere long terminated by the surrender of the city, January 28, 1871. Already a baron for his great services, Moltke was created a count on his seven­tieth birthday, and in September he was advanced to the chief marshalship, again receiving a national dotation. Added to the honors from his own sovereign and na­tion the illustrious soldier was the recipi­ent of many other distinctions, including the order of St. George from the late czar, the highest military order of Russia. Carlyle concluded a letter on the "Lat­ter Stage of the French-German war of1870-71," in these words: "That noble, patient, deep, pious and solid Germany should at last be welded into a nation and become the queen of the continent, instead of vaporing, vainglorious, gesticulating, quarrelsome, restless, and over-sensitive France, seems to me the hopefullest public fact that has occurred in my time." That the sturdy William, who fought with Wel­lington and Blucher at Waterloo seventy-five years ago, became emperor of Ger­many in lieu of being, as he was before the French war, only king of Prussia; that France was stripped of her territory, fortresses and a crushing pecuniary indemnity - sacrifices that two decades nor the waters of Lethe can wash out - is unques­tionably chiefly due to Moltke's military genius and those superb soldiers who were as calm and steady and obedient in the hour of bewildering triumph as if the conquest of huge hosts were ordinary everyday events. But with all his genius, with all his able subordinates and with the magnif­icent disciplined devotion of the German army, would the deliberately planned pro­gram of "Vater Moltke," as he is famil­iarly called, have been attended with the same surprising successes had he, in place of fighting against second-rate generals - sometimes against the very worst - fallen in with such a soldier as France possessed in the days of Austerlitz? It may be rea­sonably questioned if there would have been a Sedan had the thoughtful strategist been pitted against the lightning-like con­ception, so invaluable in warfare, which the first Napoleon would have brought to the struggle. In such a case it may be safely assumed that there would have been no surrender at Metz, no loss of Alsace and Lorraine, and that the campaign would have been conducted on German soil, and in lieu of lingering on the left bank of the Rhine in the helpless mariner of the cap­tains of 1870, his own victorious banners would have been seen on the road to Ber­lin. A military critic remarks: "Moltke made many mistakes. Had Napoleon stood in the place of Bazaine, Moltke would have rued the operations around, Metz; and the advance on Paris was a grave error due to Moltke's contempt of the French character. Nevertheless, Moltke is a real chief: his march to Sedan, and the measures he took when he found himself committed to the siege of Paris, and when he had to cope with the national rising of France, were those of a captain of a very high order. It is believed that his was the ruling mind which required the cession of Alsace and Lorraine." In a letter to the author of this article Von Moltke writes: "In reply to your question of the second ult., I would say that the following works of mine have been published: Letters on the Condition and History of Turkey from 1835 to 1839, issued by Mittler, Berlin, 1840. The Russo-Turkish Campaign in European Turkey 1828-9, G. Reimer, Berlin, 1845. Remarks respecting the Influence of Ac­curate Arms upon Modern Tactics was not written by me." This work, like another London publication, appears to have been mistakenly attributed to the field marshal. In 1854 an English publisher issued a translation from the German of Baron von Moltke, major in the Prussian army, of a work entitled The Russians in Bulgaria and Rumelia in 1828-9 during the campaigns of the Danube, the sieges of Brailow, Varna, Silistria and Shumla, and the Passage of the Balkan by Marshal Diebitsch. The book having appeared about the time of the Crimean war attract­ed considerable attention, and its author­ship was generally attributed to him in place of the Moltke who had also served in the Turkish army. General Sherman has kindly favored the writer with his impressions of Marshal von Moltke, whom he met during his visit to Europe soon after the close of the Franco-German war: " I saw him twice, first in his room, at perfect ease, in a sort of a military negligee dress, when he reminded me of many a German doctor or professor that I met in this country. He is rather slender, not very military in his form, about six feet or a little less in height, wears a wig, and his face is clean shaven and smoother than the photographs repre­sent him. His complexion is quite fair, and unless you knew him to be a man of fame he would not attract your attention in a crowd. I next saw him in uniform at a dinner party, when he wore a military frock coat buttoned up to the throat, with one or two orders on his breast. His face was the same, calm and thoughtful, and his speech slow and measured. He re­marked that he could write and read Eng­lish fluently, but in speaking was not confident that he always conveyed his ex­act meaning. He is well preserved and of good habits and easy temper. His fame is well earned, derived from a large ex­perience in the East, in Turkey, in Asia, and in Europe. He is a close observer of men and things, and a hard student of geography, statistics and facts. His value in war was the rapid divination of the purpose of his enemy and his accurate knowledge of all the data that enabled him to make the wonderful concentrations by convergent lines that marked the campaign of Koniggratz and Sedan. The movements preceding the battle of Kiliniggratz were his, and they form as good a model for study as any battle of the century." General Sheridan, in de­scribing his departure from Versailles at the close of the war early in 1871, says: "General von Moltke was, as usual, quiet and reserved, betraying not the slightest consciousness of his great ability nor the least indication of pride on account of his mighty work. I say this advisedly, for it is an undoubted fact that it was his mar­velous mind that perfected the military system by which 800,000 men were mobil­ized with unparalleled celerity and moved with such certainty of combination that, in a campaign of seven months, the military power of France was destroyed and her vast re­sources seriously crippled." After being the unsuccessful can­didate of the con­servatives of Berlin Count Moltke was, in January 1874, elected by another constitu­ency to the Ger­man parliament, of which he has ever since been a member. There, as well as in the old emperor's cabinet, the chief captain of the empire, who con­cerns himself only with the strictly military side of political problems, advo­cated the idea that "between state and state there is no arbiter but power. Small states may entrust themselves to neutrality and international guarantees, but a great state exists only in itself and out of its own power, and fulfills the object of its existence when it is determined and prepared to assert its existence, its freedom and its right." As a legislator he is punctual and persistent, seldom absenting himself from the reich­stag even during its most tedious delib­erations. His latest important speech, made in May last, created a most pro­found impression throughout Europe, and it was believed would do as much to pre­serve peace as all the new legions about to be added to the German army. In this noteworthy speech, which has the ring of steel in it, he dispelled once for all the delusion that the next war is likely to be a short one. "The powers of Europe," remarked Moltke, "are armed as they never have been before. No one of them can be shattered in one or two cam­paigns so completely as to confess itself beaten and to conclude peace on hard terms, or not to recover in a year or two and re­new the conflict. It may be a seven years' war: it may be a thirty years' war. Woe to him who sets fire to Europe! What is wanted is a strong government to resist popular impulse and passion. For a long time past only the sword has kept the sword in its sheath," concluded the count. When the venerable soldier rises to make one of his infrequent and terse speeches, there is always a movement among his colleagues, who hasten from every quarter in order not to lose a single word falling from his lips. He never at­tempts oratory, and speaks slowly in a somewhat monotonous tone, conveying the impression that he is laboring under great nervousness, although he obviously endeavors, as he stands still erect when past fourscore and ten, with arms folded across his chest, to hide this weakness from his audience by a feigned attitude of composure. For a man of his advanced age the writer thought his voice good. In the reichstag and in fact everywhere the marshal appears in uniform, being cred­ited with an absolute abhorrence of civil­ian clothes. Indeed, his adjutant in­formed a New York friend that he did not own any until a few years ago, when a distinguished American soldier called on him in a travelling suit. Moltke, to mark his displeasure, purchased a similar garb, readymade, in which to return the visit of General S. He has never worn it since. Before the close of 1881 the German general staff, of which Von Moltke was then the chief, completed its invaluable History of the Franco-German War, in twenty volumes or parts, embracing plans and maps of important battles and battle fields. It is no secret that the count de­voted much time during the previous decade to the preparation of this monumental work, in which the story of the struggle is chronicled with irreproach­able accuracy and admirable impartiality. Many of its most luminous chapters, in­cluding the masterly introduction to the concluding volume, are the production of his own pen. The field marshal's lit­erary style is unmistakable, at once forci­ble, terse and elegant; it betrays its author by displaying his own leading character­istics. (The writer may perhaps be permitted to mention that he is the fortunate possessor of a copy of this voluminous and valuable work, a gift from the illustrious soldier.) 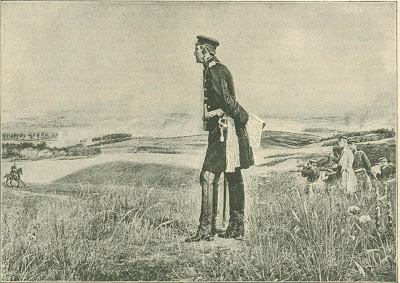 On the conclusion of this mag­num opus the marshal wished to retire from the army, but he was overruled by the emperor, who, as a species of com­promise, appointed General Count Wal­dersee to assume the functions of his office as adlatus, and who, on the retirement of Moltke in August 1888, succeeded to his high position as the chief of the great German army. The field marshal has two residences. He has a home for life in the staff palace on the Konigs Platz of Berlin. His apart­ments have a southern exposure and look out upon the recently erected Column of Victory which chiefly commemorates his own triumphs over the Austrians and French. In this huge brick building, oc­cupying an entire square, also resides Count Waldersee and his American wife, together with many staff officers. Moltke's summer home is in Silesia near Schweid­nitz, where he possesses a handsome es­tate at Kreisau. 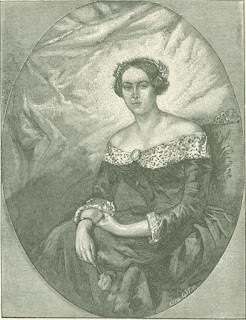 Here he buried his English wife, who died on Christmas day, 1868, and who, judging by her portrait taken just before her marriage, was a fine specimen of a beautiful British girl of twenty. His favorite seat is under the shadow of the giant oak of his park commanding a view of her mausoleum and the distant hills of the Eulengebirge. Like the historian Ban­croft the count devotes much time and at­tention to the cultivation of his roses. The marshal is a good walker, still mounts his horse, seldom smokes, snuff being the form in which, like his greatest hero, Frederick the Great, he prefers tobac­co, and he is usually an exceedingly moder­ate eater and drinker. Whether in city or country the old soldier enjoys his evening game of whist with his nephew Major von Moltke and other friends, and even during the French campaign of 1870-71 he was accustomed to have his game of cards when possible, and his adjutant, Colonel de Claer, was compelled to provide suitable players. He is also very fond of music, and nightly expects his niece and his visit­ors to play or sing for him before he retires to his private apartments. Sometimes, but very rarely since passing the fourscore milestone does Moltke permit his early hours for retirement to be interrupted. Perhaps the latest of these occasions was when he attended the banquet and ball given in March last by the emperor when the Prince of Wales visited Berlin, and when, but a few weeks before his nine­tieth birthday was celebrated in Germany and America, the count received a visit at Kreisau from the young emperor and his successor, Count Waldersee. It may be safely asserted that no un­crowned captain of the nineteenth cen­tury - possibly of all the centuries - with the single exception of England's "Iron Duke," has received such honors as were rendered to Field Marshal von Moltke in Berlin on his ninetieth birthday. Never before were such honors paid to a German subject. By request of the emperor he was accompanied from Kreisau to the capital by Count Waldersee on Thursday, October 23, 1890, being heartily cheered by thousands upon thousands as they drove from the railway station to his Ber­lin residence. Throughout Friday and Saturday the old soldier was overwhelmed with written and telegraphic congratula­tions from crowned heads and grand dukes, and by German societies of the old and new world. Saturday was made a military and general holiday throughout the em­pire, and in the evening there was an im­posing torchlight procession in which many thousands took part. On the 25th the city was en fete. In the morning, in the presence of the emperor, the marshals and generals of the army, the German guards and cuirassiers, some 20,000 strong, with their historic colors, paraded before the veteran, who stood bareheaded on his balcony. The colors were then carried into his house. Then all the notabilities, in-chiding Bismarck's successor, Chancellor von Caprivi, and an Austrian delegation carrying an autograph letter from the Emperor Francis Joseph, assembled in the great hall, where they were greeted by the Emperor William. Count von Moltke, accompanied by Count Waldersee and the general staff, then entered, and there was a hearty and universal offering of congratu­lations to the celebrated captain. In the afternoon deputations were received from the principal places of Germany, present­ing to the count the freedom of their re­spective cities. The emperor and the city of Cologne sent field marshal's batons of gold and silver, while Mecklenburg pre­sented a sum of money with which to pur­chase the house at Parchim in which the hero was born, at the same time placing 100,000 marks at his disposal to endow it as a hospital. In the evening a banquet was given in his honor at the Potsdam palace. The King of Saxony was seated at Von Moltke's right, and on his left sat the Empress Augusta Victoria. The young emperor was seated directly opposite, and, touching the marshal's glass with his own, called upon the august assemblage to drink to his health and happiness. And so closed the unique celebration of the count's nine­tieth birthday - the birthday of an illus­trious soldier without ambition or vanity, and free from that envy which usually follows greatness like a shadow. May we not be permitted to apply to Von Moltke, who, like Washington, is left childless that his country may call him "Father," the lines addressed by the greatest of living singers to the illustrious Wellington? Originally published in Cosmopolitan Magazine in December of 1890.